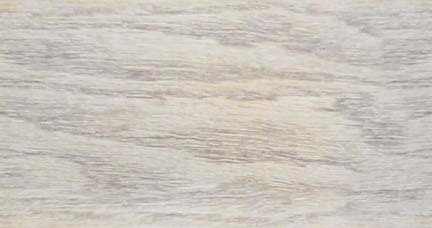 I am always happy to provide references from my Veterinarian and also the owners of dogs I have bred. We strive to raise healthy, and well socialized dogs that will make lovely companions,performance or show dogs. 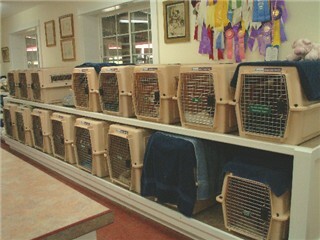 Below are some photos of our kennels. 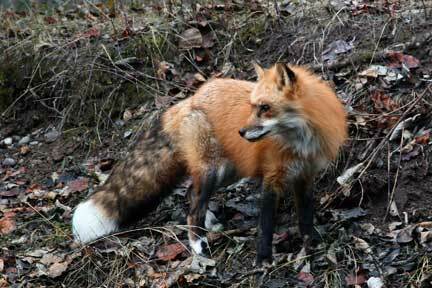 We welcome visitors. The community in which we live is home to over 30 wineries, so if you like wine or wine tasting than it can be a dual trip. TheTrappist Abbey is our next door neighbor and if you like hiking they have lovely trails that are well maintained and will provide hours of hiking enjoyment along with some gorgeous views of Mt. Hood and the surrounding valley. To the left is our crate room. Our dogs are outside during the day and brought in and crated each night. 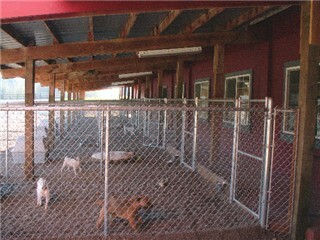 Their outdoor kennels are covered so they can stay out of the rain and afternoon sun. 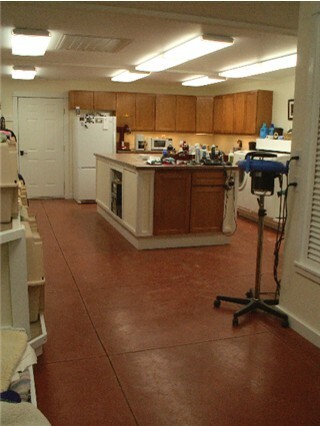 Our kennel floors are heated to provide the dogs extra comfort. 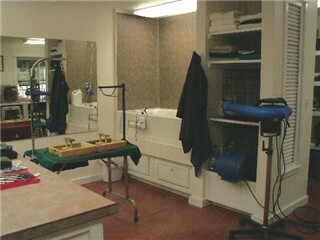 Above are additional photos of our grooming and bathing area. 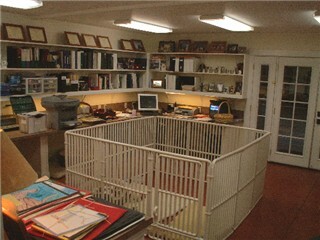 Below is a photo of my office and one of the puppy play pens. To the left is a photo of some of our outdoor kennels, each dog has play equipment in their runs, such as slides, tunnels and step stools. 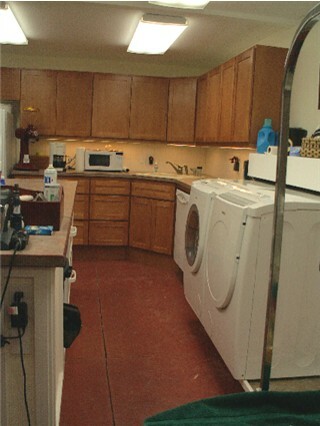 Below is a photo of one our our grass exercise yards. In the summer the dogs in the grass yards all have pools to snorkel and play in.